The logical workflow design is simple to follow with step-by step input screens. 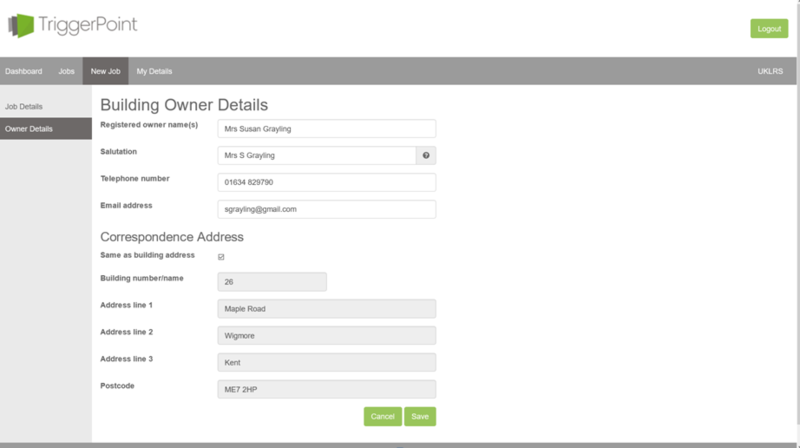 Pre-populated address fields save time and repetition and ensure consistency across all documents. Notices for additional adjoining properties take only minutes to complete. Extensive range of forms, letters and documents available. 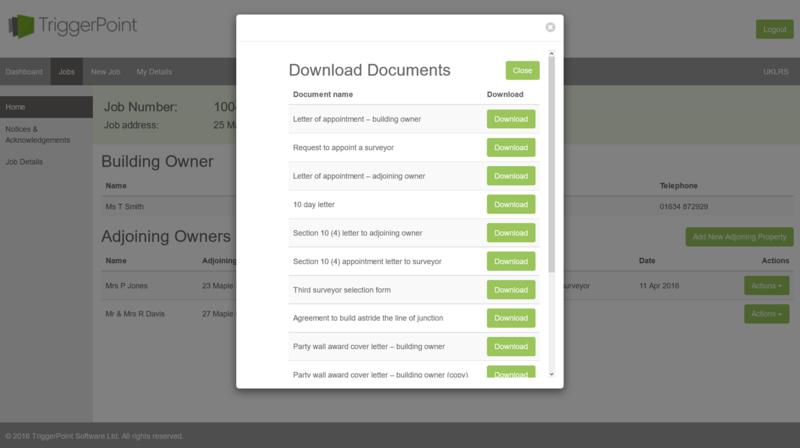 Variable data such as owner, address and surveyor details are automatically included in the templates – no additional input necessary. Documents are output in ‘Word’ format for editing if required. 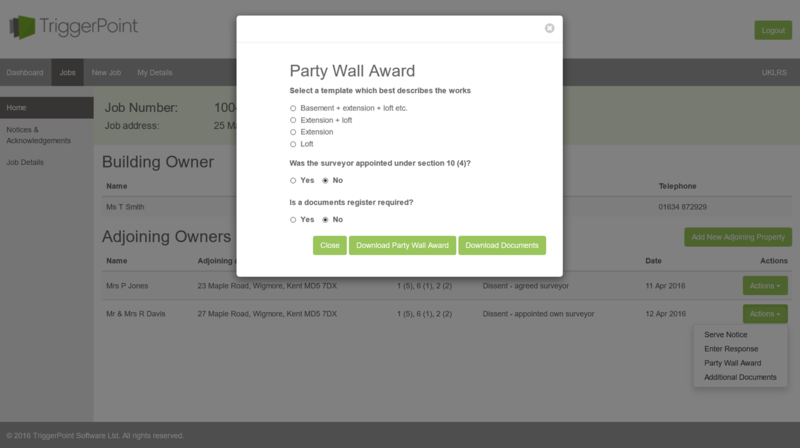 The logical notice and award selection process is simple to use and allows for a full description of the works. Notices and acknowledgements conform with RICS, P&T & FPWS guidance. 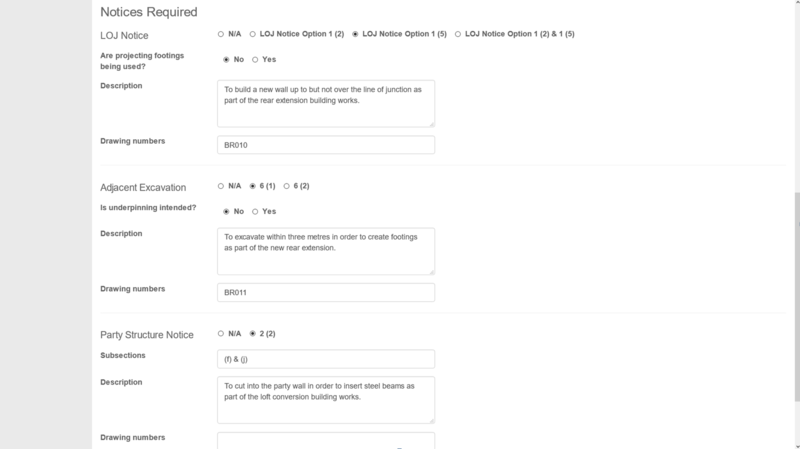 Option to repeat notice selection for additional adjoining properties. Awards to suit all appointment situations. Agreed Surveyor, Building Owner’s surveyor and 10 (4) Surveyor included. Templates include provisions applicable for all types of building works. Awards are output in ‘Word’ for easy editing. The program’s project management aids provide useful assistance. 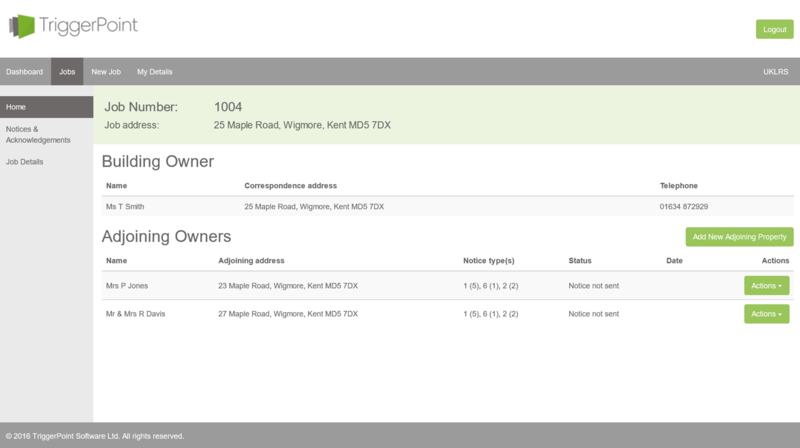 Buildings and owner information displayed as well as notice types, dates served and appointment status. Minimal input for maximum benefit.